Calgary Real Estate is a specialized real estate agency in Calgary, Alberta. Since our inception, we have been helping Calgary home buyers and home sellers to trade their properties in our dynamic city. Calgary Real Estate has been actively developing the market for house flips and property investment by advising our clients about these unique practices. We strive to provide our clients with accurate and reliable information and impeccable client service. How are we doing? We would like to hear from you, dear client, and learn what you think about our real estate practice. If you care to share your ideas publicly, please leave a note for us, and every interested visitor can also do so on Calgary Real Estate’s Google Places page. Alternatively, you can write a review on Calgary Real Estate’s Yelp record if this is your platform of choice. 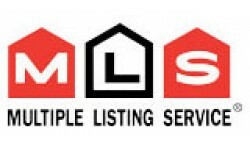 You can of course leave us a comment on this site, or contact Calgary Real Estate directly with detailed inquiries. Thank you! I’m thinking about moving, but definitely need to try to avoid an area with high flooding. Also, I want a house that has copper gutters if possible.